← Which Literary Monster Are You? Halloween may be over but it doesn’t mean you should start hanging your Christmas Lights yet. 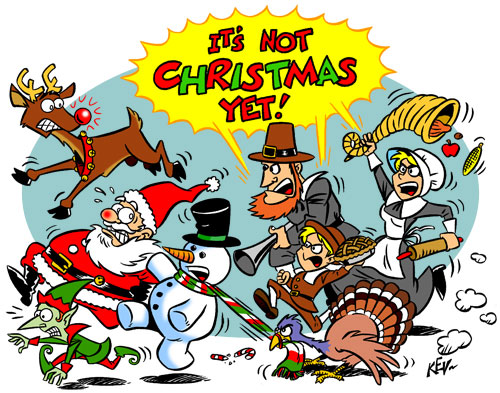 Let’s take a moment to remember the oft forgotten holiday Thanksgiving. 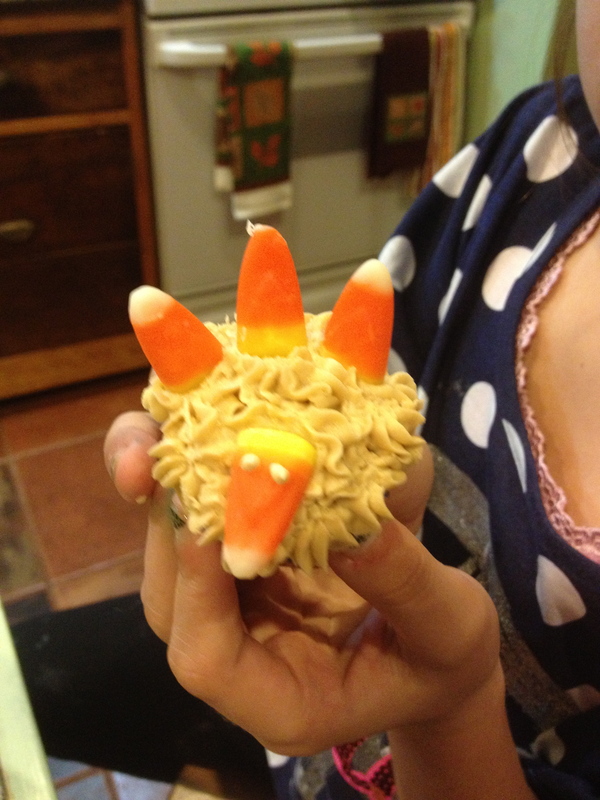 These turkey cupcakes are perfect for dessert on Thanksgiving dinner or for a school party. They are adorable and super easy. This is a great recipe to do with the kids because they are so easy. You will need a box of cake mix, mini cupcake liners, candy corn, brown food coloring, and icing– I like to make my own buttercream icing but a can of icing works too. 1. )Prepare the cake mix as directed. 2. )Place the cupcake liners in the mini cupcake pan. Then spoon in the cupcake mix and bake for five minutes. For even and consistent cupcakes I use the Pampered Chef small scoop. 3.) Bake at the temperature directed on the box, but keep your eye on them they cook in about half the time. You know they are done when you touch the middle of the cupcakes with your finger and they pop back up. 4.) Let the cupcakes cool before decorating. Tint the icing with the brown food coloring. To decorate pipe stars with a Wilton tip 18 and cover the entire cupcake. You can use store bought icing or make your own buttercream. 5.) 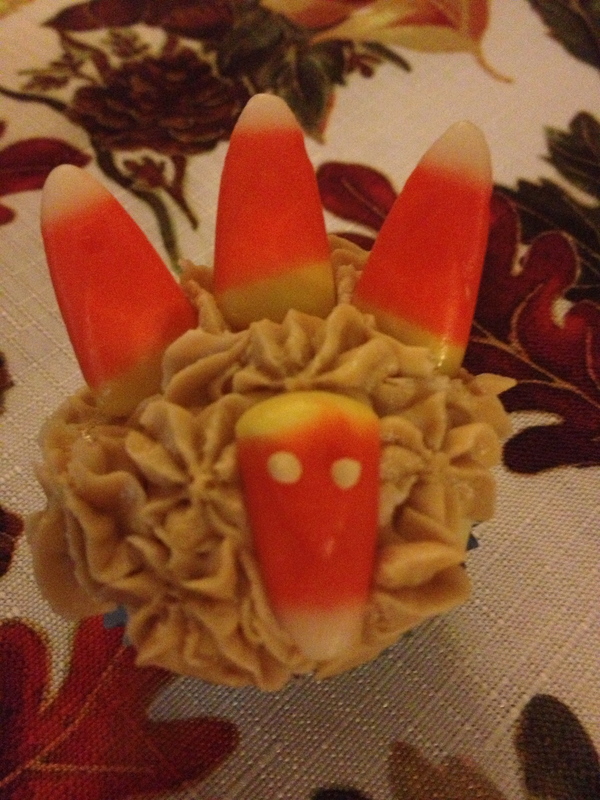 Place three candy corn white side up on the cupcake for the feathers. Put one candy corn for the face white tip down. 6.) Pipe the eyes with Wilton tip 3. This entry was posted in Cakes & Cupcakes, Family, Family Fun, Food & Snacks, Holidays, Recipes, tween and tagged Baking and Confections, Betty Crocker, buttercream icing, cake, candy corn, cooking, Cupcake, cupcake liners, mini cupcake maker, mini cupcakes, Thanksgiving, Thanksgiving Cupckaes, turkey cupcakes. Bookmark the permalink.